Monday Morning Update: Holiday laugher The Night Before jumped up the Facebook like charts this past week thanks to its ongoing marketing push and latent trailer news. I also believe it might have combined a couple pages to achieve the big boost but regardless its most definitely on the map for holiday films now. Seth Rogen's This Is The End had 240k likes this time before its release while Guilt Trip had only ~350. 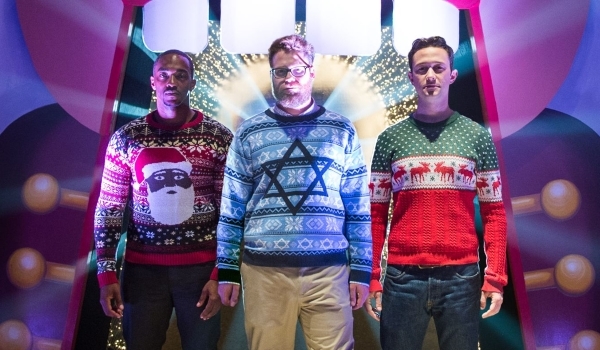 This should play well to Rogen's core fans of middle aged males and while it might not as big of an opening as some of his past films the holiday season should give it some strong legs and a decent run late into December. The Fifth Wave also gained some much needed followers over the past week with its second trailer. After its debut trailer really didn't make much of a splash on Facebook at the end of August this time out it saw a strong wave (yes I couldn't resist) of support, rising over 200% to just over 111k likes overall. The good news is that there is still just under four months for it to make a name for itself and generate interest. The bad news is that its lagging behind all other major young adult adaptations at this point on Facebook before release including Mortal Instruments (425k likes), If I Stay (175k) and The Host (150k). Krampus continues to do well, jumping a further 65k to push its total to north of 215k likes. While its early I have my eyes on this as a possible success story for the holidays. Lastly, Crimson Peak debuted on the top 5 list for the first time this past week, less than a month away from its release. Its 245k likes is just below that of recent horror success The Visit. Maze Runner: The Scorch Trials debuted in first this weekend with an estimated $30.3 million. However, the young adult sequel from Fox debuted significantly below expectations and an underwhelming 7 percent below the $32.51 million debut of last year's The Maze Runner. With that said, The Scorch Trials is currently tied with 2009's Cloudy with a Chance of Meatballs for the eighth largest September debut of all-time (without adjusting for ticket price inflation). Maze Runner: The Scorch Trials outpaced Black Mass by an estimated $6.94 million this weekend in the battle for first place. Maze Runner: The Scorch Trials opened with $11.0 million on Friday (which included an estimated $1.7 million from Thursday night shows), increased 11 percent on Saturday to gross $12.25 million and is estimated to decline 42 percent on Sunday to gross $7.05 million. That places the film's estimated opening weekend to Friday ratio at 2.75 to 1. Maze Runner: The Scorch Trials received a solid B+ rating on CinemaScore, which was just below the A- CinemaScore rating of its predecessor. That and the film's sequel nature suggest that The Scorch Trials won't hold up as well in comparison going forward. Warner's Black Mass debuted in second place with an estimated $23.4 million. While the Johnny Depp led crime drama didn't nearly reach the heights that its strong online pre-sales had suggested, the film was still off to a solid start and opened in line with earlier expectations. The film's debut was arguably Depp's strongest since the launch of Pirates of the Caribbean: On Stranger Tides back in 2011. Black Mass opened nearly on par with the $23.81 million start of 2010's The Town, but whether it can duplicate that film's holding power remains to be seen. Black Mass started with $8.82 million on Friday (which included an estimated $1.4 million from Thursday night shows), was unchanged on Saturday with $8.82 million and is estimated to decline 35 percent on Sunday to gross $5.73 million. That gives the film an estimated opening weekend to Friday ratio of 2.65 to 1, which isn't the greatest initial sign for the film. The film received a B rating on CinemaScore, which while respectable, doesn't suggest that the film will hold up especially well going forward. Universal's The Visit placed in third with an estimated $11.35 million. The low-budget M. Night Shyamalan directed horror thriller from Blumhouse Productions was down 55 percent from last weekend. That represented a sizable, but respectable second weekend decline, especially given the overall new competition that arrived in the marketplace this weekend. The Visit continues to exceed expectations with a ten-day take of $42.35 million. That places the film 31.5 percent ahead of the $32.20 million ten-day gross of 2006's Lady in the Water. Last weekend's top film, Sony's The Perfect Guy was down three spots and a sharp 63 percent to land in fourth with an estimated $9.66 million. Despite the sharp second weekend decline, in the bigger picture the low-budget thriller starring Sanaa Lathan, Michael Ealy and Morris Chestnut is still performing very nicely with a ten-day gross of $41.37 million. That places The Perfect Guy 4 percent ahead of the $39.70 million ten-day take of last year's No Good Deed. Everest was off to a healthy fifth place start this weekend with an estimated $7.56 million. Universal's adventure drama opened exclusively in 545 IMAX 3D and PLF 3D locations, which gave the film a very promising per-location average of $13,872 for the frame. The film's 366 IMAX locations were responsible for an estimated $6.0 million of the film's total gross this weekend. Everest took in $2.3 million on Friday, was up an encouraging 30 percent on Saturday to gross $3.0 million and is estimated to decline 25 percent on Sunday to gross $2.26 million. That places the film's estimated weekend to Friday ratio at a strong 3.29 to 1. Given the strength of this weekend's exclusive debut, prospects are looking bright for Everest when it expands into traditional wide release next weekend. Sony's War Room continued to hold up very nicely this weekend with a sixth place take of $6.32 million. Continued strong word of mouth continues to drive the Kendrick Brothers produced faith based film, as it was down a slim 19 percent from last weekend. War Room has grossed a terrific $49.16 million in 24 days. The film is currently running 20 percent stronger than the $40.90 million 24-day take of last year's God's Not Dead. 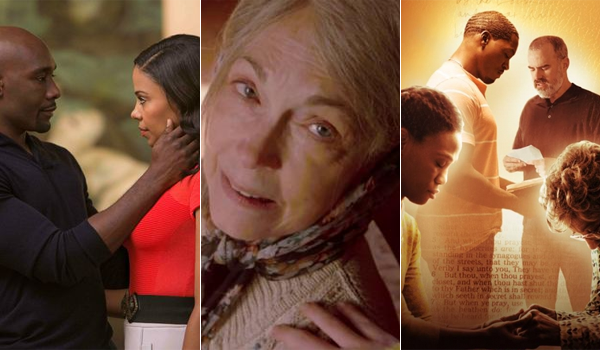 Meanwhile, as War Room continued to excel this weekend, fellow faith based film Captive stumbled out of the gate with an estimated eleventh place start of just $1.40 million. The drama thriller from Paramount starring Kate Mara and David Oyelowo opened below its already modest expectations. As was the case with Samuel Goldwyn's 90 Minutes in Heaven last weekend, potential for Captive was clearly limited by the continued success of War Room. On the platform front, Lionsgate's Sicario was off to a strong start with an estimated $390,000 from 6 locations. That gave the crime thriller starring Emily Blunt, Benicio Del Toro and Josh Brolin a per-location average of $65,000 for the frame. Sicario will expand into wide release on October 2nd. Fox reports that Maze Runner: The Scorch Trials bowed to an estimated $11.0 million on Friday, including Thursday's $1.7 million early show gross. While not a bad number by any means, that does fall over 2 percent short of the original's $11.2 million opening day despite having a $600,000 comparable advantage in Thursday night earnings. The first film was very well received by fans and posted unusually strong legs for the young adult genre as it went on to earn over $100 million domestically. Pre-release traditional tracking had been consistently in line with that of The Divergent Series: Insurgent (whose opening day was $21.2 million), suggesting a much higher opening weekend was in store for Scorch Trials. Unfortunately, poor reviews (49 percent on Rotten Tomatoes so far) and weaker fan reception (70 percent on Flixster versus 82 percent for the first pic) are softening demand for the sequel -- not to mention the late surging buzz of other openers this weekend. BoxOffice is projecting a $28 million opening frame, which could still give it first place. Meanwhile, Black Mass pulled an estimated $8.815 million on opening day, according to Warner Bros. Johnny Depp's hugely buzzed-about turn as infamous real-life gangster Whitey Bulger has drawn strong reviews and early awards season chatter, translating into significant interest among adult crowds and the actor's fans. The opening day take was right in line with (slightly ahead of, in fact) other recent gangster flicks like The Town ($8.35 million in September 2010), Depp's own Public Enemies ($8.2 million on a July 2009 Wednesday), and of course, 2006's The Departed ($8.7 million). For director Scott Cooper, Black Mass' first day already makes it his best opener yet following Out of the Furnace and Crazy Heart. The studio reports a middling "B" CinemaScore, but audiences on Flixster have awarded it an encouraging 80 percent as of this morning -- lining up with critics' positive 76 percent RT score. BoxOffice is projecting the film will tally close to $26 million this weekend in a strong second place debut. In third place yesterday, M. Night Shyamalan's The Visit was off 61 percent from opening day last week to $3.57 million. That's a typical drop even for well-received horror pics. With $34.6 million in the bank through eight days of play, the Shyamalan/Jason Blum collaboration is continuing its profitable run. Look for a sophomore weekend around $10.8 million. The Perfect Guy slipped to fourth place on Friday as it slid 69.5 percent from opening day last week to $3.025 million yesterday. That gives it $34.74 million in all so far, 6 percent ahead of the pace of No Good Deed. BoxOffice projects a $10 million second weekend. Impressively taking fifth place yesterday was Universal's Everest. The dramatized true-story of the 1996 climbing tragedy opened to $2.3 million exclusively in 545 IMAX 3D and PLF 3D screens this weekend to generate buzz ahead of its wide expansion next week. This further cements the viability and appeal of premium screen formats for large scale films, not to mention adds another winner-to-be on Universal's record year. 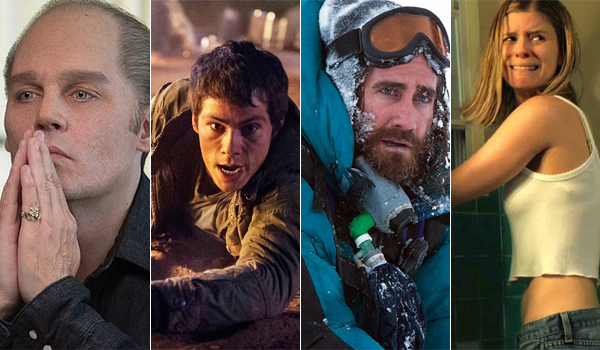 The studio is projecting Everest will take in a fantastic $7.1 million this weekend. Just outside the top five yesterday was War Room as it continues to post excellent holding power. The drama was down only 15 percent from last Friday to $1.85 million and now boasts a $44.7 million domestic take. Look for a weekend around $6.7 million. Also opening this weekend was another faith-based film, Captive from Paramount. Its $647,000 estimated opening day was just under 90 Minutes In Heaven's $758,767 bow last Friday -- about as good as can be expected with now three major faith-driven films in the market. BoxOffice projects a $1.7 million weekend for Captive. Last but certainly not least, Lionsgate bowed Sicario in six locations to an excellent $133,810 on Friday, similar to the $135,602 earned by Birdman in four theaters on opening day last year. That registers as a $22,301 per-theater average for the Mexican-based crime thriller and sets Sicario up for a weekend around $420,000. The film will expand into wide release in early October. Check back tomorrow for updated projections and official studio estimates. Update #1: Sources report that Fox's Maze Runner: The Scorch Trials posted $1.7 million from Thursday's early shows, significantly improving upon the first film's $1.1 million debut exactly one year ago. The 55 percent jump is yet another indicator that the franchise's audience has grown since the original's debut last year thanks to positive reviews and word of mouth among teens and young adults. A weekend north of $40 million seems very possible at this point, with potential for even more if Scorch follows a similar daily pattern as its predecessor. The first pic opened to a $32.5 million weekend. Johnny Depp's highly buzzed-about performance as Whitey Bulger is also translating into great success. Black Mass scored $1.4 million for Fox last night and sets the stage for an excellent weekend beyond pre-release expectations. By comparison, Black Mass' debut last night was in line with The Equalizer's $1.5 million and Gone Girl's $1.3 million last fall -- films that went on to $34.1 million and $37.5 million opening weekends, respectively. 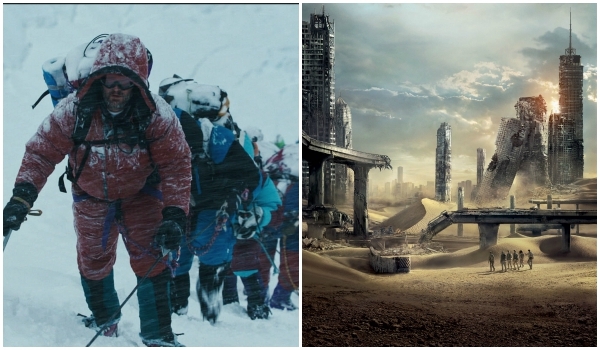 Meanwhile, sources report that Everest pulled around $325,000 from select IMAX and PLF screens last night. There aren't many apt comparisons for this type of release as Everest expands wide next week, but it's definitely a positive start for the film. No early Thursday grosses were reported for Paramount's Captive, which opens in semi-wide release this weekend.